This article is dedicated to Matt Moring, the man behind the curtain at Altus Press, the publisher that is putting out a remarkable series of pulp reprints. Last time we met, we had talked about needing biographical information on this author. Here it is, Matt; only took around half a year. Berton Ellsworth Cook was born on April 5, 1889 in Amesbury, Massachussets. He was the first child of James Norton cook, a carpenter by profession and Ellen Nora Pierce - both born in Port Matoun, Nova Scotia. His father died early in his childhood, exactly when I don't know, but by the 1900 census his mother was the head of the family with 4 children. It must have been difficult for her to bring up the children on her own; they ended up being fostered by the Good Will Hinckley organization. I wasn't able to find a record of her death, but it happened sometime between 1900 and 1918. In 1909, Berton graduated from the Good Will Hinckley school and joined Syracuse University where he spent five years taking a combined teaching and forestry course - a vocational education being needed if he was to take care of his siblings. During the summer vacations, he worked as a sailor aboard ships voyaging from New York. By 1914 he had a degree, an able seaman’s blue card, boxing experience and was training for the third mate coastwise exam. After graduating from Syracuse in 1914, for a short time he became a surveyor in the Forest Service with occasional trips on colliers. Over the next six years, he built a career in teaching and started a family. From 1914-1915 he worked at the Deer Island School, Maine, where he met Edith Small, who was working as a teacher there. They were married on June 1, 1915. He served in the navy transport during World War 1 on the U. S. S. Maumee. How he did all of these things in such a short span of time, I have no clue. In 1925, his wandering days came to an end and he joined the Durfee High School in Fall River, Maine as a teacher in the Social Studies department. From 1925 to 1952, he was a teacher there. His writing career seems to have started in 1929, with his first story sale to Sea Stories, a Street and Smith magazine. Another of his stories appeared in it in 1930, but then he was published by Argosy in the same year. Argosy was among the big general fiction pulps, and any author with a story in it was read by a wide audience, creating name recognition for that author. For the next 2 years, no stories appeared in any magazine. In 1933, he broke into Short Stories - publishing 5 stories that year. 1934 saw his only appearance in Adventure magazine. 1935 to 1937 saw him publishing stories in Argosy and Short Stories. When Dorothy McIlwraith took over the editor's job at Short Stories, she tried to put together a stable of authors who appeared exclusively in Short Stories; Cook was one of them. From 1938 to 1951, with the exception of one story in Argosy, his stories appeared only in Short Stories. Readers must have liked them, because on average he appeared in almost every other issue. In 1952 he retired from teaching. 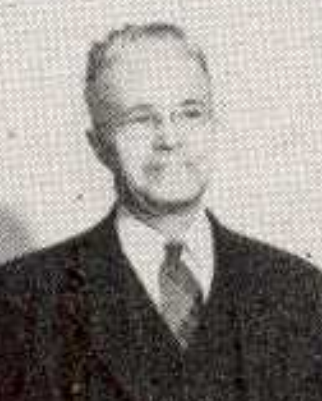 Berton E. Cook passed away on September 29, 1958 in Fall River, Massachusetts. His wife and two daughters survived him. I've read several stories by Berton Cook, all in his series about world class collector Harden Bayle. This series is of great interest to me since the main theme is collecting, something I've devoted much of my life to(books, pulps, paperbacks, literary magazines, original art, music cds, old movie dvds, etc. "Crazy collector Harden Bayle series. He once again sends out his flunky to buy or beg, borrow or steal, a one of a kind, unique collectible. The collectible is just some rare plaque but the series earns high grades because of the great idea. Cook wrote several more of these stories all through the 1940's"
Usually the collectible is some strange, bizarre, unusual item. I can identify with this! Sounds interesting, one more series I look forward to reading. Thanks for the tip, Walker. I think Matt included a Harden Bayle story by Berton Cook in the recent reissue of Argosy magazine (Fall 2016). Does all of this hint at Altus putting out a Cook collection? That would be excellent. Philsp.com shows he had quite an impressive output. Yes, it does. 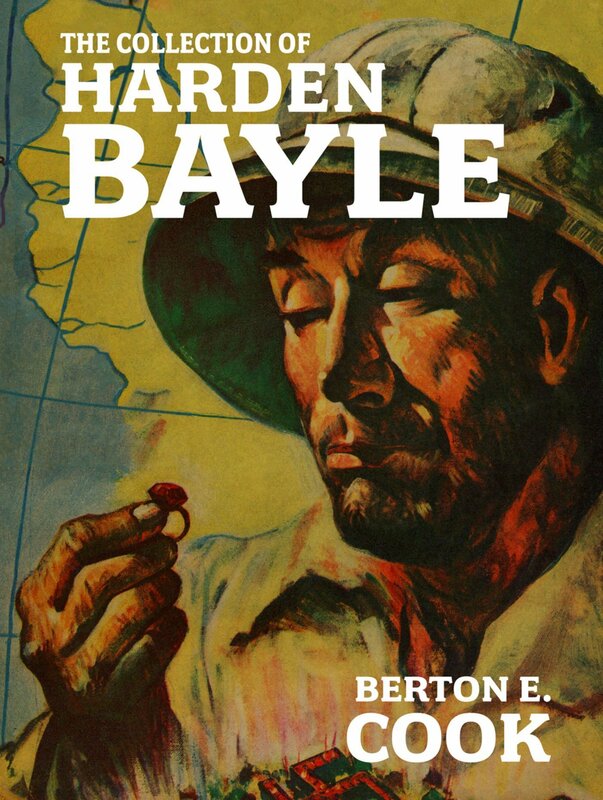 I just saw that the Pulp Coming Attractions site broke the news of a new Harden Bayle collection from Altus Press. At present it is only available from Altus Press in the "deluxe edition," $75. I prefer the Altus kindle versions that are about $5. However I am pleased to see Altus is being smarter about monetizing all the hard work that goes into their books. This is like what Centipede Press is doing with its new editions of Cornell Woolrich - for the first year or so, only the hard-bound version is available, at $100-150. Walker, at least in one aspect e-books are better than physical books. When i buy a new batch, I don't have to smuggle them home and hide them.